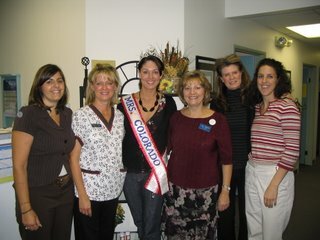 I signed autographs for one of my generous sponsors, Body and Laser Aesthetics in Longmont, during their annual Open House. A number of people who attended the Open House watched the national Mrs. America broadcast, so it was fun to visit with them. My pictures from the national competition were also on display.